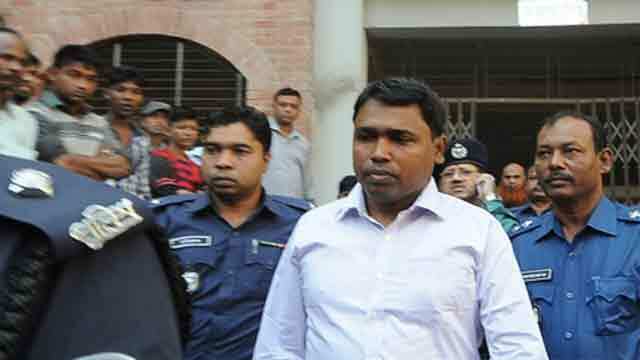 Chittagong, Dec 18 (Just News): The assistant proctor of Chittagong University, Anwar Hossain, was sent to jail after he surrendered before a Chittagong court today in the murder case of Bangladesh Chhatra League central leader Diaz Irfan Chowdhury. Chittagong Chief Judicial Magistrate Munshi M Mashiar Rahman passed the order after rejecting the bail petition of Anwar Hossain. On November 20, 2016, the body of Diaz, central assistant secretary of the BCL, was found hanging from the ceiling of his room near CU. Accused BCL leaders, who were sued over the murder of Diaz, along with their followers enforced an indefinite strike on the campus today demanding the withdrawal of the case and immediate release of the assistant proctor. As part of their strike, they padlocked the university's main entrance around 11:30am and also shut off the university’s shuttle train service. Diaz’s mother lodged the murder case on November 24 with a Chittagong court against around 20 people, including the then CU assistant proctor Anwar Hossain and the university unit’s BCL President Mohammad Alamgir Tipu.